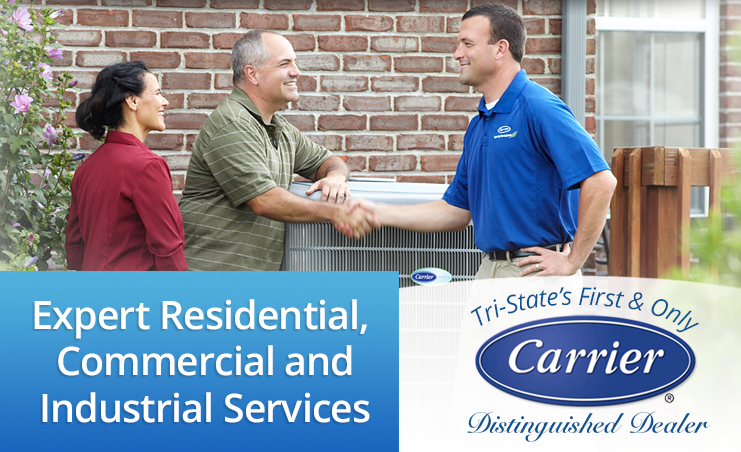 Providing Superior HVAC Service to the Evansville Tri-State! Serving the Evansville and surrounding areas, Nunning Heating, Air Conditioning & Refrigeration, Inc. offers sales, service and installation of HVAC equipment for commercial, residential & industrial customers. Nunning also has divisions with factory trained technicians to service and repair all restaurant kitchen equipment and commercial refrigeration. Turn to Nunning and Carrier – Turn to the Experts! Wonderful service, we had to call for service after hours...Kenneth was here within 30 minutes of us calling, he was very nice and provided a temporary fix and came back promptly today as he said he would...Thank you...Excellent customer service!! My sister-in-law’s air conditioning went out a few days ago. I called a very reputable ac business to see if I could get some help soon. I was told they could not take care of her for 5-7 days. I called Nunnig’s and they had a technician out in a couple of hours who found out what the problem was rather quickly. The next morning they installed a new heating and air unit. She was very happy with the work and service. Great company. Had a most excellent repair call with Kenneth this morning. So professional and pleasant. A credit to your company. Thanks so much. Wonderful company! Great service! Definitely recommend! When I called with questions the receptionist was so helpful and genuinely nice with the problems I had.The 2 workers came out and my sandwich station was just a few months past warranty and going to cost A LOT for the repairs, they called the manufacturer and got it covered. Wonderful customer service, will always be using them! Fast, friendly, efficient! Nick with Nunning got our heat going again quickly on a cold winter day. This is the second time we've used Nunning and second great experience! They do honest clean neat and professional work. I wouldn't call anyone else in town!!! The only place to call for hvac service - they're the best. Thank goodness for your after-hours service. We've been saved twice just in the past few months. Thank you!